Written in 2010. Relevant in 2019. 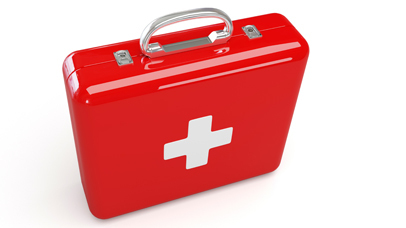 Now is the time to equip yourself with the essential Emergency Kit for Health Canada Raids. This guide to your rights includes everything you must know and do, to try and save your reputation, your business and your livelihood, when the inspectors arrive. This reality is the inevitable result of the NHP Regulations coming into effect as proposed. The NHPPA would prefer not to have to offer this advice, but with full enforcement coming in, we have no choice but to equip you to protect yourself. The Emergency Kit is a 16 page document, complied by Shawn Buckley, president of the NHPPA, outlining everything you must be aware of to prepare for a Health Canada raid on your premises. Mr. Buckley routinely represents businesses under Health Canada attack and has compiled this handbook based on first-hand experience. Under the current NHP Regulations, and even more so under the proposed NHP Regulation updates, businesses such as yours are under threat. You may not have been one of the retailers raided to date, but no-one is exempt. How to act, what to say and what not to say during a Health Canada raid on your premises. A raid can be intimidating. Information and support are vital. We are as committed to the survival of your business as you are.